The Rebel Sweetheart. : Tips for an Eco Friendly Organic Garden. 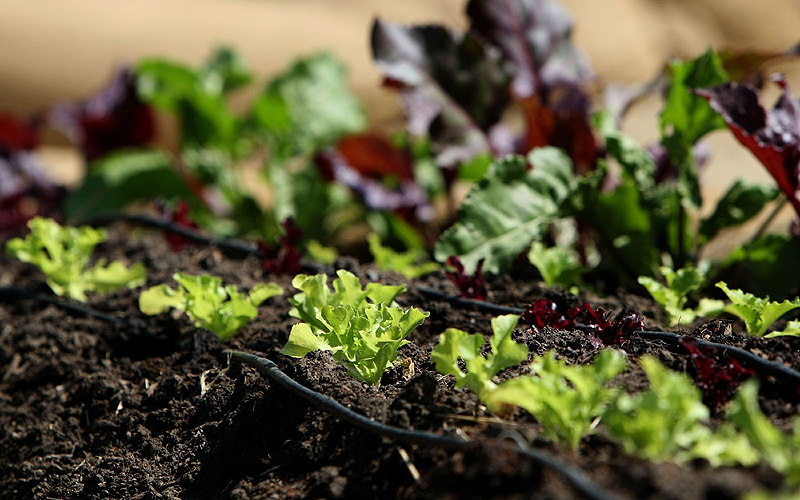 If you are someone who loves to do your part for the world, one lace for you to start is with your garden. So many people put time and effort into their garden that they never realise how much a part of nature it is. When you want to make sure that your garden is operating under green principles, take a moment to think about what you can do. When you want to make sure that your garden is very eco-friendly, make sure that you start off with native plants. Native plants grow naturally in the the environment, and they can be quite gorgeous when you look them up. However, they often get choked out by invasives or neglected in favour of flashier ornamentals, so it is up to the ecologically responsible gardener to give them a shot. Take a moment to learn what natives are available in your area and to go from there. If you are someone who is looking for a way to make your garden thrive and grow, make sure that you think about putting together a compost bin. A compost bin essentially relies one decomposing plant matter to bring life and nutrients back to the soil. If you want to make your soil richer, take a moment to think about putting a compost bin or a compost pile into a corner of your yard. You can feed it off of yard waste and soon enough, you'll have fantastically rich compost that helps you keep your garden nourished. If you are considering making sure that your garden thrives naturally, bring on the pollinators. Birds and bees are a necessity when it comes to helping your natural garden grow, and in many areas, they can use a bit of encouragement. Consider skipping insecticides altogether in favour of encouraging birds to come in as natural predators. Plants like lavender, foxglove and bee balm are natural choices for insects. You can look up the native birds in your area that serve as pollinators and which can help your garden thrive. Take a few moments to think about your garden and how you can make sure that it creates a gorgeous green spot in the world. Going green and organic takes some effort, but you will find that in short order, it is entirely worth it! If your not a hands on person when it comes to gardening consider a professional for your garden maintenance in Brisbane. Our helper grows a few plants at home but they are in pots, lol. No space for a garden unfortunately. Eco freiendly garden is a most needed thing to save our environment nowadays.Very good post from you. Gardening is more common these days and choosing the right plant and the right care helps make a successful garden. Thanks for the tips! These should help us in our gardening adventure!